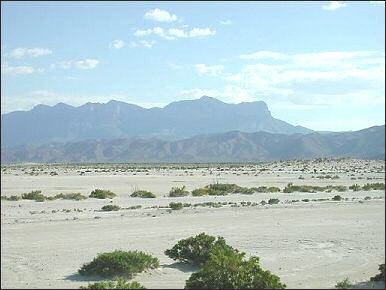 El Paso’s salt mines, located about a hundred miles east of the city, had long been used by local Indians and Chicanos. In 1877, two local political factions struggled for control of the deposits; these were the so-called "Salt Ring" led by District Judge Charles Howard, the group that tried to gain private control of the mines, and the "Anti-Salt Ring" of Antonio Barajo and Luis Cardis, which opposed privatization. After months of legal wrangling, the political feud turned violent in early October when Howard shot Cardis to death in an El Paso store. This incident provoked "the El Paso Salt War" as mobs of Mexican Americans, outraged by Cardis’s murder, began attacking the lives and property of Salt Ring supporters, many of them Anglos. Some witnesses claimed that more than a thousand armed men occupied El Paso and its surrounding communities. In December, vigilantes killed Howard, mutilated his body, and then engaged in several days of riots and looting, with cries of "kill all Americans" and "death to the gringos." Although Governor Richard Hubble dispatched a company of Texas Rangers to the scene, it was the intervention of the U.S. Ninth Cavalry, a party of "buffalo soldiers" under Lieutenant Louis Rucker, which forced the Mexican mobs to disperse. Eleven people died in the violence. The "Salt War" forced the U.S. Army to assume a stronger, more authoritative position in west Texas, and impressed upon local Chicanos that the power of the United States stood behind El Paso’s growing Anglo population.